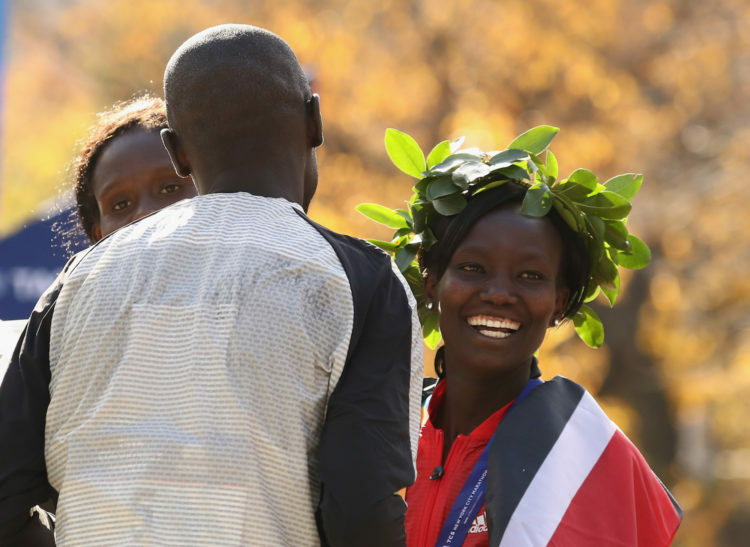 The winners of the men’s and women’s races in the New York City Marathon that took place on Sunday both hail from Africa. Twenty-year-old Eritrean, Ghirmay Ghebreslassie, became the youngster ever winner in the history of the men’s race in a time of 2:07:51, storming to victory on his own after shaking off his closest rivals about six miles from the finish line. African footprints were found on the other podium steps in the men’s race, with Kenyan Lucas Rotich coming second (2:08:53), while Somali-born American Abdi Abdirahman achieved a third-place finish in 2:11:23. Kenya’s Mary Keitany won her third consecutive New York City Marathon in a time of 2:24:26, having run most of the course without any competitors around her after pulling away from the leading pack in the first half of the race. The 34-year-old ran an impressive race, becoming the first woman to win three consecutive marathons in the Big Apple since Grete Waitz managed five victories in a row between 1982 and 1986. Keitany’s sublime run dwarfed the efforts of second-placed Kenyan Sally Kipyego, the 2012 Olympic silver medallist, who finished in 2:28:01, as well as American debutant Molly Huddle with a third-place time of 2:28:13. East African athletes have built an incredible reputation for excellence in middle and long-distance running over the years, as evidenced by the countless medals won by Kenyans and Ethiopians at the 2016 Rio Olympic Games and marathons throughout the globe. These gifted and hard-working athletes will no doubt continue to dominate marathons around the world for some time to come. Incredibly, Keitany was not included in Kenya’s 2016 Olympic team after a collision in the London Marathon stopped her from winning the race. The exclusion from the Summer Games allowed the Kenyan record holder to focus on the marathon circuit, to her benefit.